Something in the way he moves…. 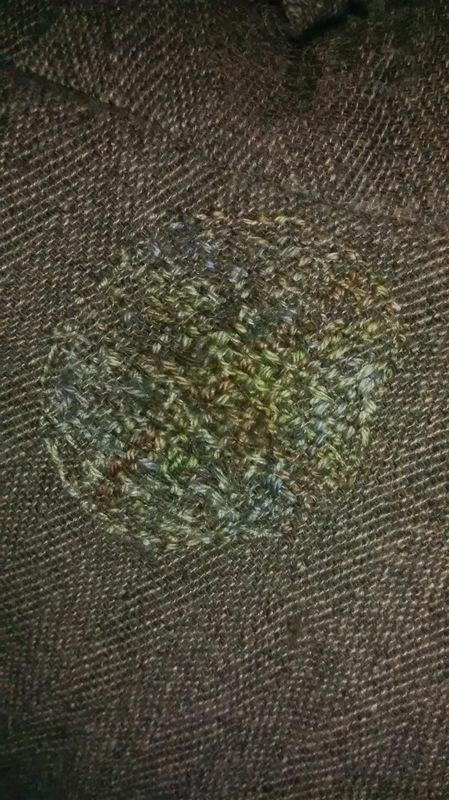 This was the state of the gusset of my husband’s shooting trousers. 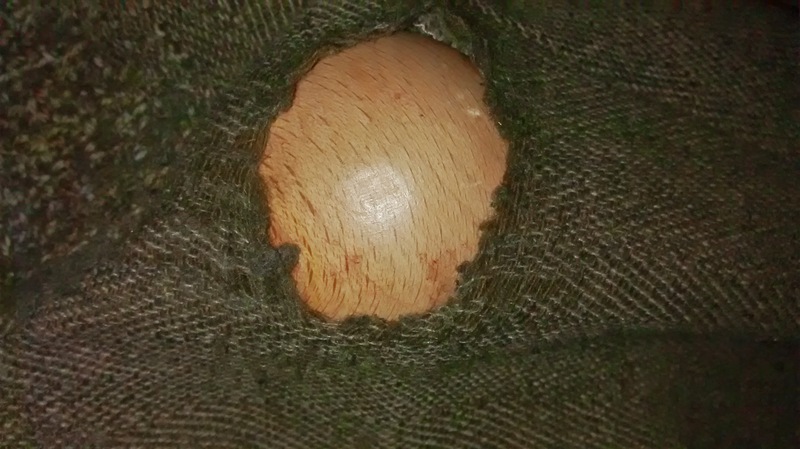 The second hole was so big that my darning mushroom kept slipping through! I’m a big fan of Tom van Deijnen http://tomofholland.com and did wonder if this could be a bit of a visible mending project. 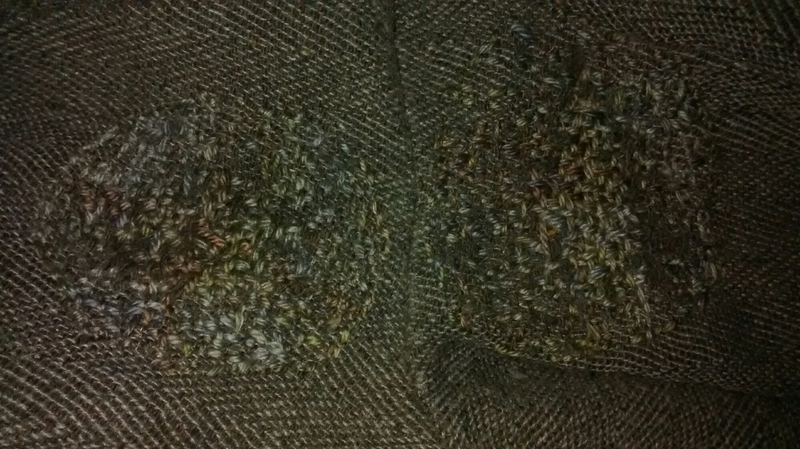 Unfortunately my husband doesn’t really share my sartorially quirky edge, so common sense prevailed and I found some leftover sock yarn in just the right mix of colours (I’m sorry – I have no idea what this yarn is – I bought it in the US last year – it was mostly merino, 10% cashmere and some nylon). 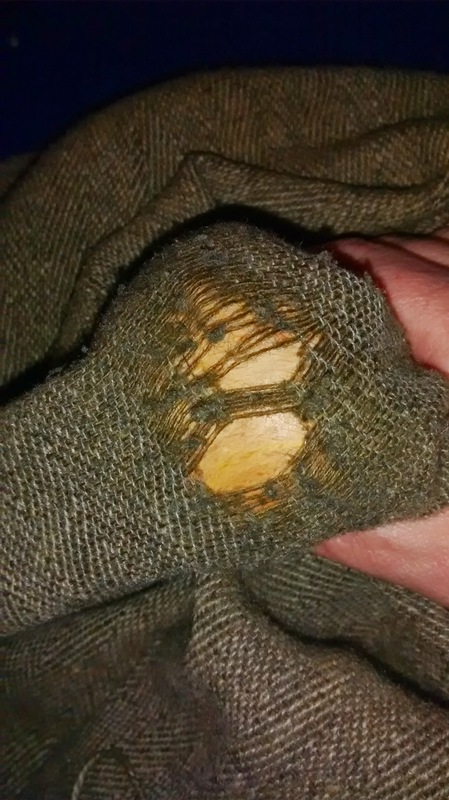 The darning itself was quite fun despite the enormity of the holes, and when worn the darn doesn’t show. The final day of the season was last weekend, and the report back was that it was eminently more comfortable to yomp around the fields without the icy wind whistling around his nether regions.